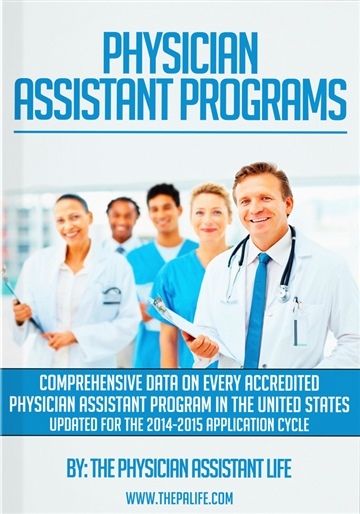 Comprehensive Data on Every Accredited Physician Assistant Program in The United States. The Physician Assistant School and Program Directory is a complete list of all accredited Physician Assistant Programs in the United States. The directory is an essential tool for those interested in or currently applying to PA School. The directory Includes the most pertinent and up to date information on tuition, fees, application deadlines, GRE requirements, GPA requirements, medical experience requirements, CASPA participation and direct links to each PA program website. This is the most comprehensive PA program directory available anywhere, and the most recent version has been fully updated for the 2014-2015 application cycle. Hi, my name is Stephen Pasquini. I am a rural family practice Physician Assistant since 2004 and creator of www.thepalife.com. I am a National Health Service Corps Scholar and graduate from The University of Medicine and Dentistry of NJ (Rutgers) PA program and the University of Washington in Seattle, WA. My goal is to provide one of a kind online resources for those interested in or practicing in the PA profession, to promote better access to healthcare for all and foster universal recognition/awareness of the PA profession.